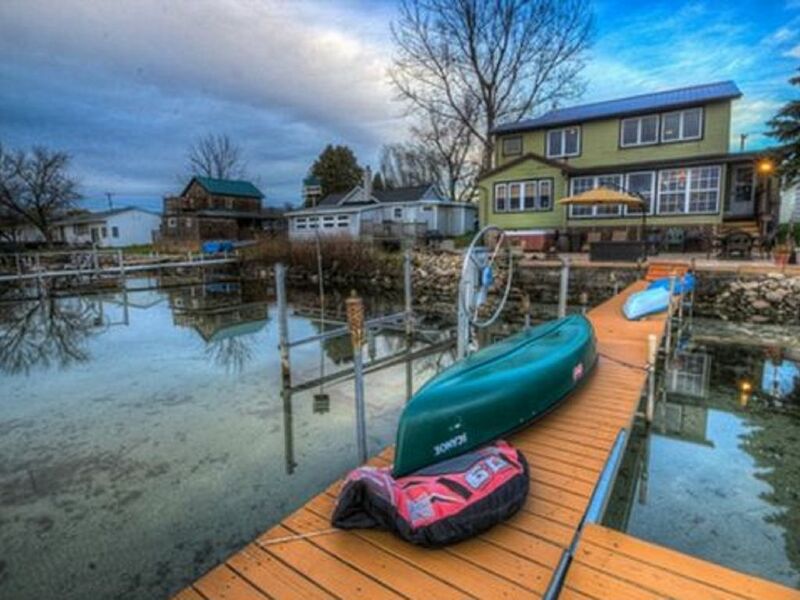 Hello and Welcome to your own private lakefront getaway in the beautiful Finger Lakes region. We are so very happy you're considering our Cayuga Lakefront home for your vacation. When you stay in this comfortable and updated, fully-furnished and equipped 4 bedroom, 2 bath home, you will awake to a beautiful unobstructed direct view of Cayuga Lake. Sit back and enjoy your morning coffee, tea, or evening Wine or Beer in the Hot-Tub from the 800 square foot lakefront patio, or the nice size family room with a wall of windows. Imagine taking a 5-6 hour tour of some of the finest Wineries, Breweries, Distilleries, and Cider houses. Or maybe add in a stop along the Cheese or Sweets Trails? Then return home and warm up in front of the fireplace with a glass of Wine before jumping into the awesome 6-person hot tub!! We are smack dab right in the heart of the Finger Lakes so fine dining and local fair abound. Ideally located directly on the Cayuga Wine Trail and 15 minutes from the Seneca Wine Trail. Full bath on first floor with Jacuzzi tub. New Toddler / Baby room with a toddler bed that easily converts to a crib. Pack N Play and high chair, and other necessities for the little ones. Living Room, Dining Room / Kitchen, Family Room. The home is elegantly decorated to make you feel right at home. The family room with pellet stove has an incredible view of the lake for sunsets overlooking the lovely patio. Ideal for gazing at the lake, watching the family from the comfort of the family room, bird watching, and much, much more. After staying at Wise Owl Landing several times - we were lucky enough to purchase it! We hope you enjoy it as much as we do! Downstairs bath with jacuzzi tub. Upstairs bath with shower. Fully equipped and stocked kitchen. Keurig and regular coffee maker. Some spices and condiments. Dishwasher, microwave. Crock pot, waffle maker, indoor s’mores, and more! Home away from home! Christine has thought of everything, from the wine upon entry to the owl-themed soap and extra towels. We had a great stay! We had a wonderful stay at Wise Owl Landing. Very clean, accommodating for families and a wonderful outdoor space! We especially enjoyed the hot tub on a cold winters night! The house was completely stocked, they thought of everything! We cannot wait to return! The house is very well kept and provides everything you need. The home was beautiful and very clean especially considering the short notice we gave to Christine. After being evacuated from the OBX due to Florence we couldn’t have asked for a better place to stay. It was wonderful! Thank you so much!